BRICK STAR: Minifigs Move In - Vermin, Too! 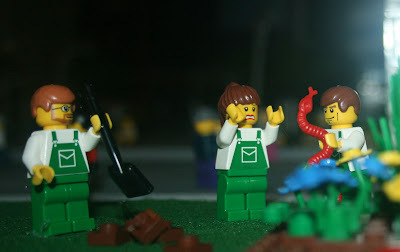 Minifigs Move In - Vermin, Too! Minifigs have moved into the miniature city of Chicago. We made about 1000 people to populate our display, but anyone who knows us knows that people aren't the only one's living in this land... beware the creatures as well!